When a city is forced to spend more on Wall Street fees than on basic public services, it is the sign of trouble. When that city is one of America's biggest population centers, it is the sign of a burgeoning crisis. That's the key takeaway from a recent report looking at what has been happening in Los Angeles over the last few years. Published by the union-backed Fix LA Coalition, the report details how the city has slashed its spending in the wake of revenue losses from the Wall Street-engineered financial crisis. Yet, as the analysis shows, the city is nonetheless still being crushed by Wall Street — in this specific case, it is being forced to spend $300 million a year on financial fees. For some context, that's more than the city spends each year maintaining all of its roads. So what specifically are these fees? According to the data, roughly $200 million worth of fees go to Wall Street money managers who oversee some of the city's pension investments. Yet, that's only a conservative estimate gleaned from analyzing documents that are publicly available. Because there's no one central accounting of the fees, and because other fees may be secret, the report notes that, just like in most locales, "neither the boards nor the investment staff employed by the boards know (exactly) how much they pay in total fees." Moving forward, Los Angeles is now on the hook for $65.8 million worth of new fees in the next 14 years, thanks to a 2006 interest-rate swap deal. "(Those) deals were sold on the assumption that they would save L.A. taxpayers money," notes the report. "But after the banks crashed the economy, the federal government drove down interest rates as part of the bank bailout, and now the banks are reaping a windfall at taxpayers' expense." If this latter part of the story sounds familiar, that's because it is all too common. Indeed, as my PandoDaily colleague Nathaniel Mott and I reported this week, this particular scheme has plagued cities across the country. For instance, a recent study by former Goldman Sachs investment banker Wallace Turbeville documented how an interest-rate swap deal was a big driver of Detroit's fiscal crisis. In his report documenting Wall Street's demands for "upwards of $250-350 million in swap termination payments," Turbeville concluded that "a strong case can be made that the banks that sold these swaps may have breached their ethical, and possibly legal, obligations to the city in executing these deals." Likewise, Rolling Stone's Matt Taibbi documented how interest-rate swaps in connection with a water treatment plant were at the heart of Jefferson County, Alabama's infamous bankruptcy. Meanwhile, a front-page New York Times story in 2010 showed how a swap deal in Denver orchestrated by then-superintendent Michael Bennet blew a hole in the city's school budget. In 2013, Bloomberg News reported that "Wall Street banks collected $215.6 million that Denver's public schools paid to unwind swaps and sell bonds" — a sum that "is about two-thirds of annual teaching expenses." Recounting all of this is enough to depress anyone, but there is at least some sliver of good news. As of this week, Los Angeles city councilor Paul Koretz is proposing to exclude the banks at the center of the interest-rate scheme from any future business with the city unless those banks renegotiate the terms of their rapacious deal. While this may not be a comprehensive solution, and while it may not work perfectly, it is a start. Indeed, the proposal shows that there are still ways for cities to start combating Wall Street's most destructive schemes. The fight is certainly long overdue, but better late than never. 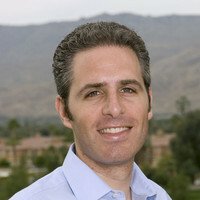 David Sirota is a staff writer at PandoDaily and the best-selling author of the books "Hostile Takeover," "The Uprising" and "Back to Our Future." Email him at [email protected], follow him on Twitter @davidsirota or visit his website at www.davidsirota.com.